Several blocks on North Avenue near 16th Street buzzed with pedestrian and vehicular activity on a recent summer morning. Customers greeted each other as they entered and exited Galst Food Market and popped in and out of The Juice Kitchen across the street. Neighbors and acquaintances lingered on sidewalks in the perfect summer weather, chatting in pairs and small groups. Construction vehicles and machines added to the hum of energy in the heart of Lindsay Heights. As the long-vacant Blommer Ice Cream factory at 15th and North is transformed and an adjacent structure rises to form Legacy Lofts, the community is seeing growth. The mixed-income residential complex containing 64 apartments represents the kind of economic development the North Avenue/Fond du Lac Marketplace Business Improvement District 32, established in 2004, focuses on. BID 32’s goal is to create “a viable and sustainable commercial corridor that supports local entrepreneurs,” according to its website. The BID works to engage current business owners and attract local, regional or national businesses to locate to the community. 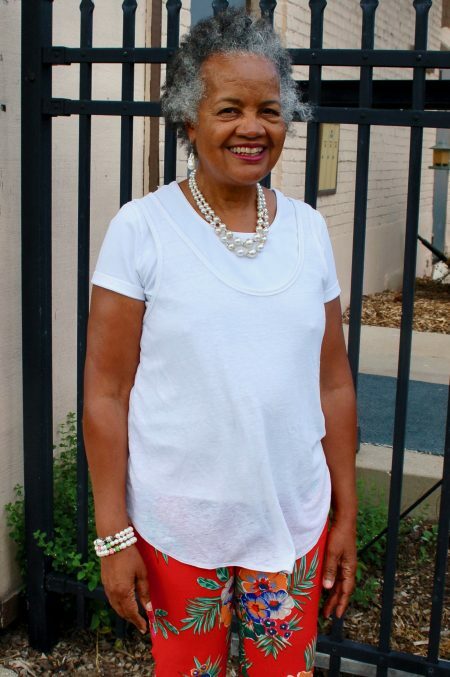 Additional priorities, according to BID president Sharon Adams, are to strengthen community bonds, allow residents to build wealth and, especially, make sure that improvements do not displace the people who already live in the neighborhood. There has been a long and intense period of disinvestment in Lindsay Heights, and other central city neighborhoods, Adams noted. More than 30 percent of the properties in Lindsay Heights are owned by the city. “Our BID is located in a transforming community where real estate development is also very important, so while we promote and serve our property owners and our tenants … real estate development becomes a crucial part of our work,” she said. Residents and businesses have expressed to the BID that creating an authentic neighborhood identity is important to them as well and “we’re moving in that direction,” Adams said. Adams pointed to several redevelopment projects in which historic buildings have been restored, including the former Walter Schmidt Tavern, which now houses The Tandem restaurant and several offices and businesses including Fix Development, and the Innovations and Wellness Commons. The Commons comprises The Juice Kitchen, Outpost Learning and Event Center, the Milwaukee Center for Independence commercial kitchen and Fondy Food Center’s administrative offices. Without an executive director since mid-2016, the BID decided to take some time to clearly define its priorities, goals and strategies. It is getting close to completing that process and then it will be ready to hire a director, said Joann Harris-Comodore, the BID’s vice president, who is also founder and CEO of Neu-Life Community Development Inc. and Residential Living Services Inc.
Last summer, the BID worked with the UWM School of Architecture and Urban Planning’s Community Design Solutions (CDS) design center during a two-day program that included architects, developers, lenders, city officials and community members. The group discussed and designed development ideas to revitalize the neighborhood and created the Lindsay Heights Charette Plan. This year, UWM students also designed façade improvements and redevelopment ideas for a number of vacant and dilapidated storefronts on Fond du Lac and North avenues, said Sister Edna Lonergan, a BID board member and president of St. Ann Center for Intergenerational Care. The center opened at 2450 W. North Ave. in 2015. It is planning to add a community band shell and warm therapeutic pool in the near future. “(The UWM students) worked on charette sites, façade enhancements and right-of-way landscaping. They identified three parcels to focus on for redevelopment and three additional buildings for façade enhancement,” suggesting uses including a coffee shop, health food store, café and bakery for specific sites, Lonergan said. The BID and St. Ann’s Center have hosted six business development workshops for residents in the 53206 ZIP code. The meetings are designed to provide resources and advice to people looking to start or expand their own businesses. Eighty people applied to attend the last incubator but the format only permits about 25 participants, Lonergan said. With the city and LISC Milwaukee, the BID is also working to help entrepreneurs set up businesses in pop-up stores, she said. To successful real estate developers like Kalan Haywood, founder of the Haywood Group, Business Improvement Districts and similar local business organizations can provide valuable insights into what area residents want. Such groups can also provide important data about a community. BIDs are “helpful mainly because (they) allow the developer to get a true pulse of what’s going on, in real time, in that community,” which saves everyone’s time, Haywood said. 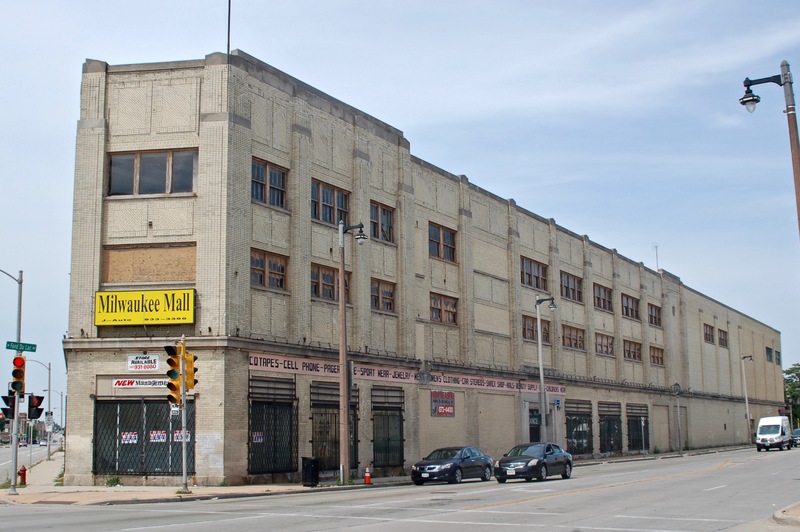 Haywood has purchased the Milwaukee Mall, formerly a Sears, Roebuck & Co. building at 2100 W. North Ave., and plans to redevelop the eight-acre property into a multi-use site that will include retail, office and housing, he said. Ezzard White, a retired electrician and high school teacher who provides training to young people who want to learn skilled trades, joined the BID board two and a half years ago. He said he has seen a lot of change in his Lindsay Heights neighborhood. BID 32 will host a picnic, “Let’s Grow Together,” in Fondy Park, 2201-2299 W. Meinecke Ave. on Saturday, Aug. 4, 1-3 p.m. Free food and live music will be provided. Everyone is welcome.